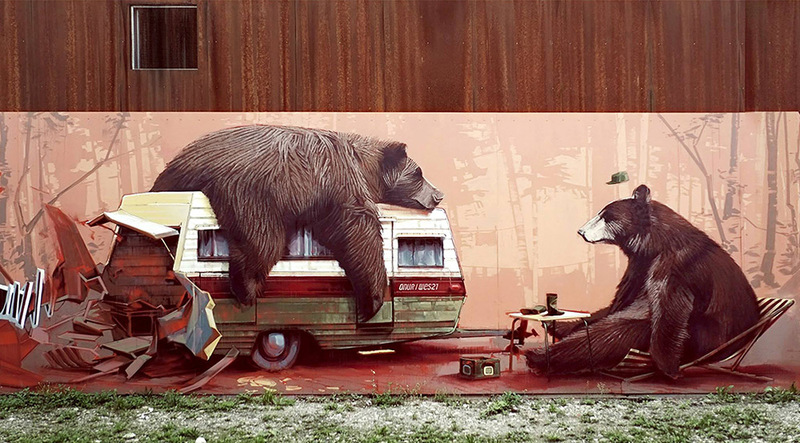 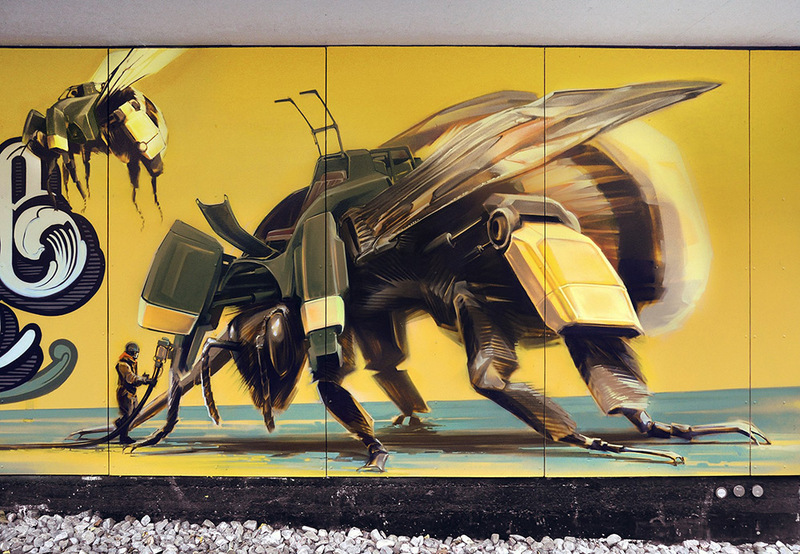 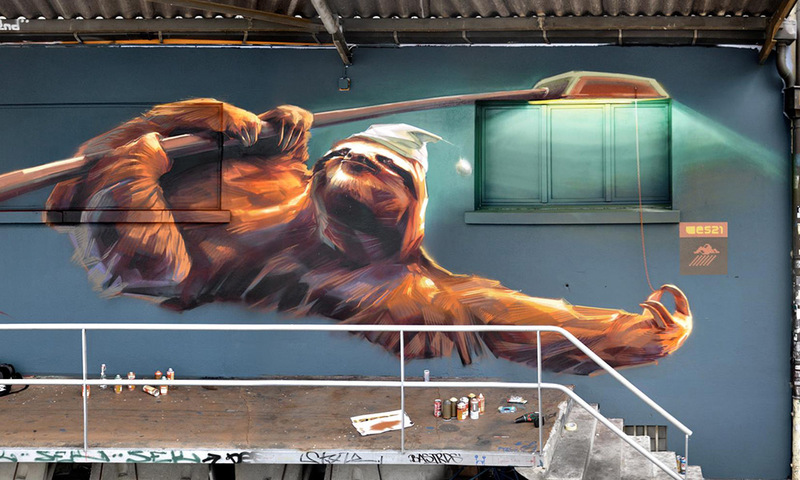 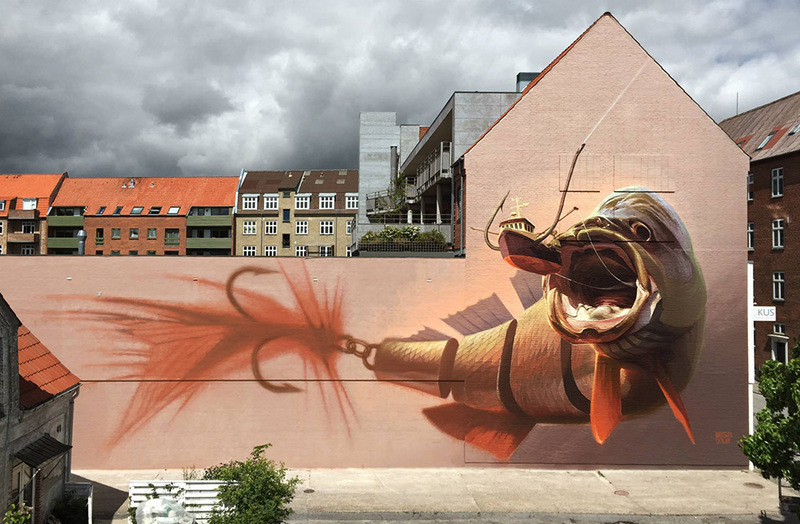 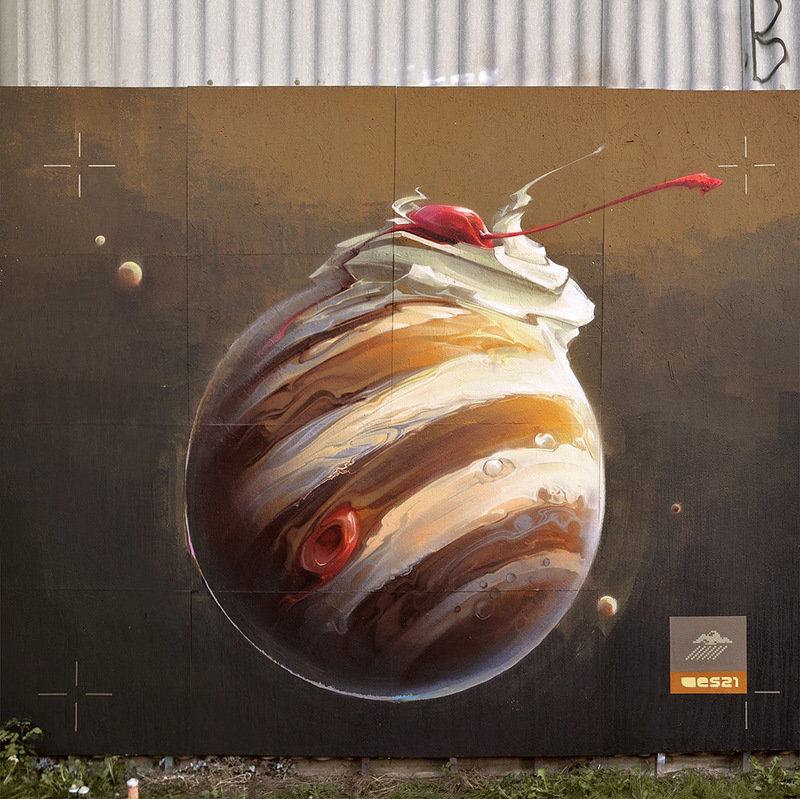 With a keen sense of humor and superb control of a spray can, Swiss artist Remo Lienhard (aka Wes21) covers both walls and canvases with his playful sythesis of science fiction and the natural world. 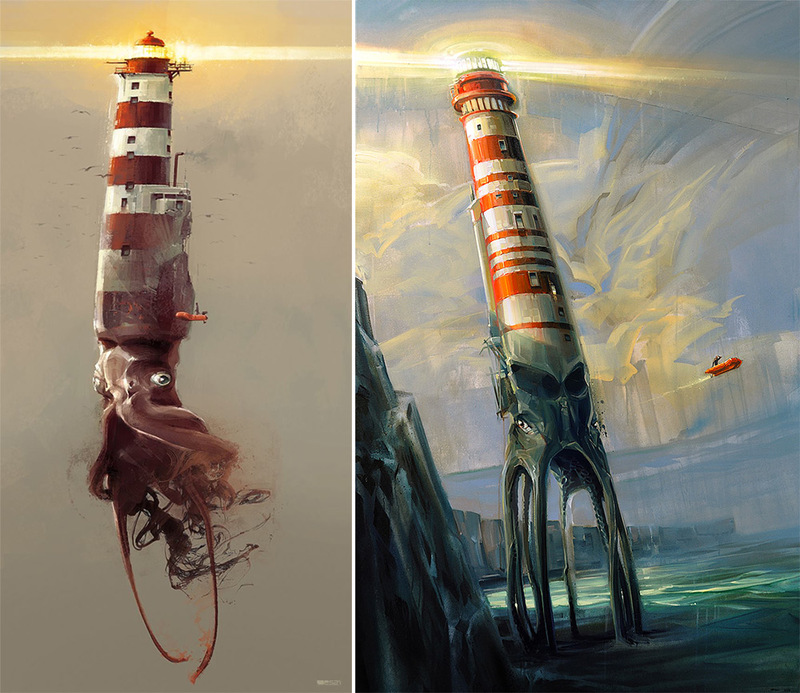 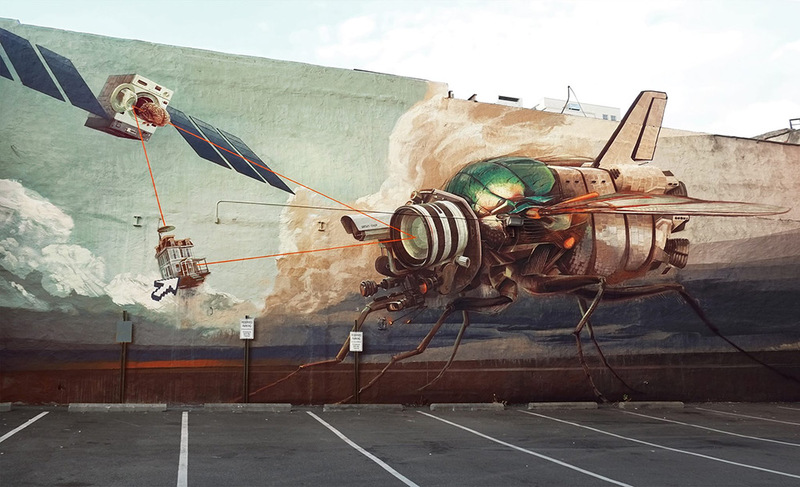 The artist imagines a hybrid spaceship ladybug as it blasts into the sky and pair of airborne lighthouses are revealed to be the bodies of ominous looking squid. 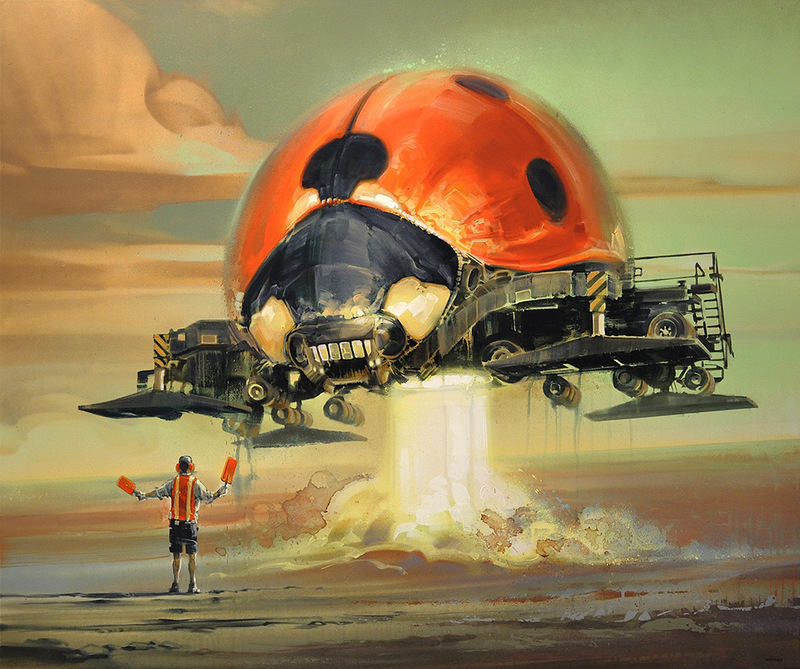 Lienhard works in a variety of mediums from smaller acrylic and spray pieces on canvas to larger murals that often make use of surrounding objects.